Can A Hospital Get Rid of Fungus With Tea Tree Oil? KUALA LUMPUR: After spending RM14 million on unsuccessfully trying to rid Sultan Ismail Hospital in Johor of fungus, the government may find an answer in tea tree oil, and it will not cost an arm and a leg. A company marketing the oil has offered samples to the hospital which has been plagued by the problem for years. The government recently engaged Sistem Hospital Awasan Taraf Sdn Bhd (Sihat) to check the hospital which is infested with aspergillus and penicillium fungi. Fueltreat Malaysia Sdn Bhd director James Fredericks said the hospital could use the samples on a small area to ascertain its success. He said it would cost the hospital only "several hundred thousand ringgit" to solve the problem. He said hospitals in Australia used tea tree oil, spray and cream as they were recognised as an effective anti-bacterial, anti-fungal and antiseptic agent. They are said to damage the cell walls and membranes of bacteria and fungi. "Pathogens that have acquired immunity to antibiotics -- especially Golden Staph -- appear unable to survive exposure to tea tree oil," he told New Straits Times. Tea tree oil is said to have an agent that eliminates moulds, fungi and mustiness, besides killing bacteria in the air. Fredericks said hospitals used tea tree oil because many pathogenic micro-organisms had developed an immunity to antibiotics and sullphonamide drugs, giving rise to deadly strains of "superbugs". 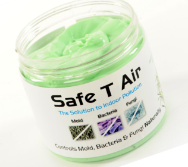 He said tests in Australia also showed that Safe-T-air, a tea tree product used in air-conditioning systems, inhibited the spread of organisms that spread flu-like symptoms, wound infections, conjunctivitis, lung infections and food poisoning. A hospital spokesman said he did not mind testing the product as the authorities wanted to solve the problem. Fueltreat Malaysia Sdn Bhd are scheduled to meet hospital authorities this week to explain how the product works. The spokesman said the problem was serious with measures taken to protect the health of staff and patients. Health Minister Datuk Liow Tiong Lai was reported to have said that the infection had been caused by the wet ground under the RM557.8 million hospital. © Copyright 2008 The New Straits Times Press (M) Berhad. All rights reserved.